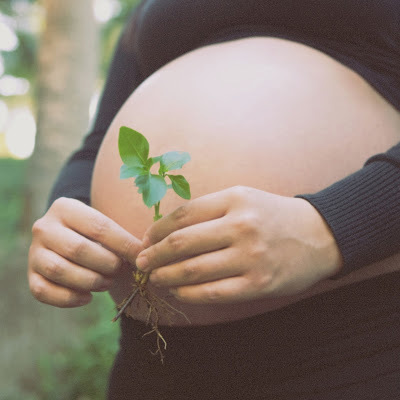 When I was pregnant with G, I only remember being concerned with how the delivery would go. I had a good pregnancy with no complications and had no concerns whatsoever that she would be born anything but healthy. I never even considered the possibility that she would have to spend the first 8 days of her life in the NICU. 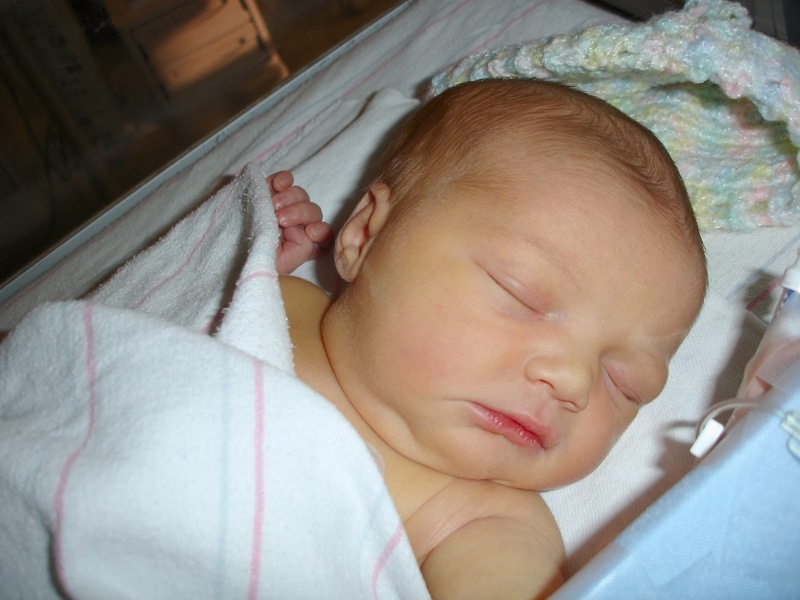 In fact, as we left the birth center 8 hours after she was born, under instructions that we stop by the emergency room of the Children’s Hospital, we thought they would check her and tell us everything was fine and send us on our merry, sleep-deprived way. Instead, she was admitted and given x-rays, tests, needle pokes, and no diagnosis for days. (It was finally determined that the excessive water in her lungs + elevated white blood cell count= she was born with pnuemonia). During those 8 days it was impossible to dress her– she was hooked up to so many wires that were monitoring her vitals, plus her IV that gave her the antibiotics. The one thing she did wear was the handmade hat that she was given upon being admitted; even though it was a little big and moved around on her itty bitty head, we put it on her and were grateful for the warmth and color it provided. It’s safe to say that little momento of the combined worst and best time of our life will be treasured forever. Now you know why I have a soft spot for NICUs and sick babies in general. 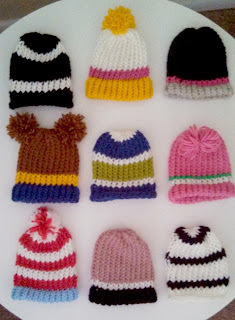 Now, I’m not a knitter; but I can use a loom, which makes it so easy to make these hats. 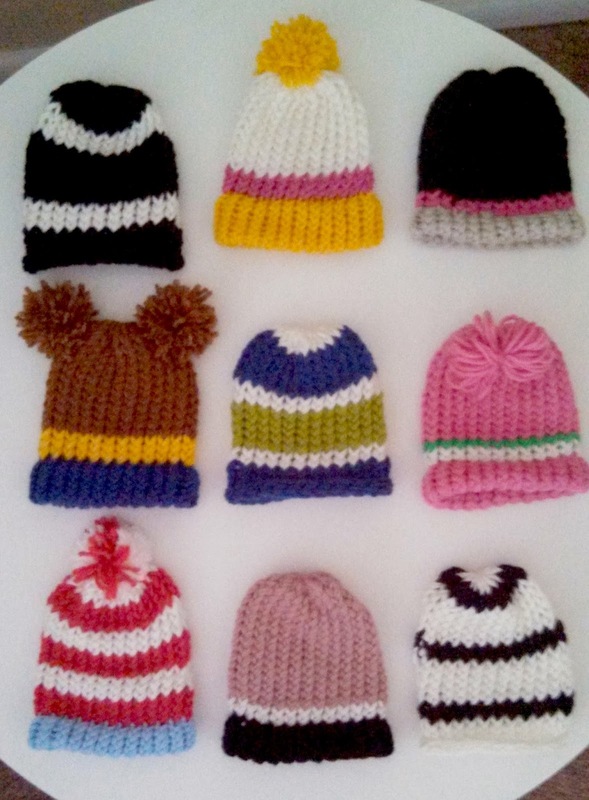 I started making a few to use as samples for my upcoming NICU knit-a-thon, but they have been quick, easy, and fun– and I have been excited to try different color combos. I don’t generally (ever.) post charitable activities I participate in, but I was hoping that this one will inspire others to join in! What better time than winter to give some little ones a little warmth and love, and through that, hope and a bit of joy to their parents? I use the 5.5 inch loom, and you can get the set at Joanns with all of the (super easy to follow!) instructions. I just purchased an extra set of looms for the knit-a-thon and 2 more skeins of yarn for $18.00 (gotta love those Joanns coupons! ), so it’s not hard (or expensive) to get started. top photo courtesy of Deb Schwedhlem Photography.